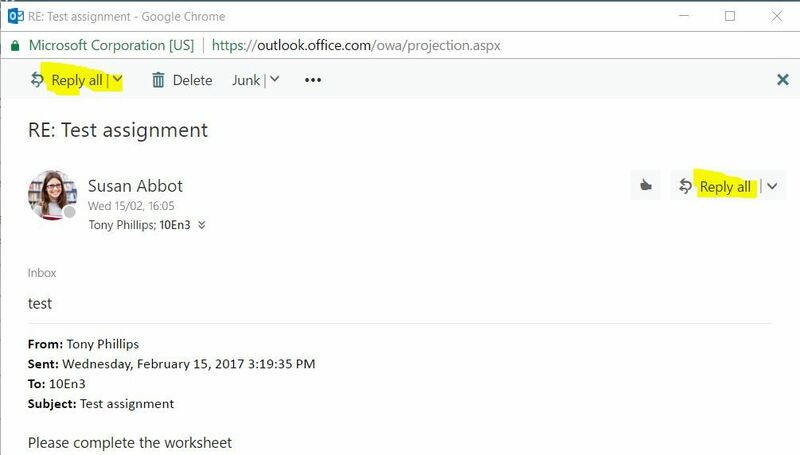 Your users may have noticed that the default reply button in Outlook Web Access is “Reply all”. This can result in emails accidentally being sent to the wrong person (as many users assume this is the reply button without reading it). Luckily you can change this default behaviour. The user can change this setting themselves by going into the Mail settings. 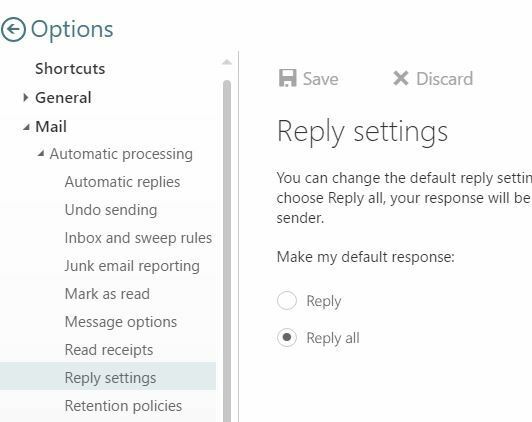 Under Mail, Automatic processing and Reply settings, the user can change the default response to “Reply”. There is a PowerShell command which will set this for a mailbox. We can take this further and loop through all the mailboxes to apply this setting. Hopefully you have happy users again after that change! Video guide below. 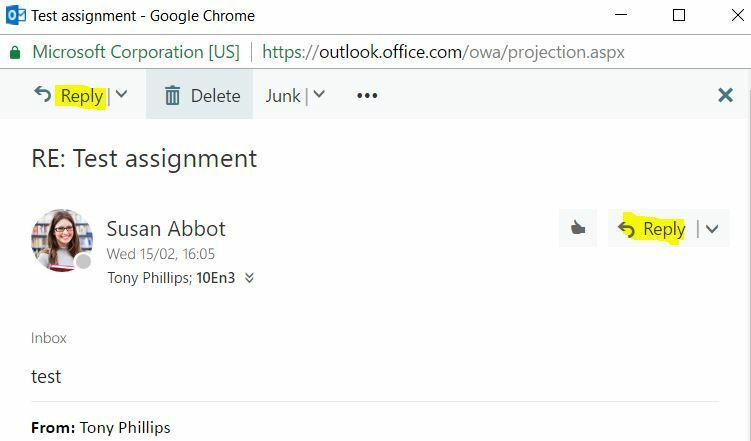 This entry was posted in Office 365, Outlook Web Access, PowerShell, PowerShell, Reply Settings, SharePoint in Education, SharePoint News, Tony Phillips and tagged Bradford, Changing Reply Settings, Cloud Design Box, Consultancy, Default Reply setting, Derby, Fix, Guide, Help, Hull, Leeds, London, Manchester, Nottingham, Office 365, Outlook, Outlook Web Access, OWA, Reply, Reply All, REply to All, SharePoint, SharePoint Consultancy, Tony Phillips, tony phillips derby, Tony Phillips Hull, Tony Phillips Nottingham, Tutorial on March 23, 2017 by Tony Phillips.